Honey is one of those things that brings me back to Mexico and to my childhood. Growing up, my family (e.g. my 4 brothers, my Mom and I) travelled to Celaya (one of the towns in central Mexico where you could visit honey bee farms). 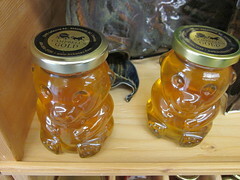 We walked through the honey bee farm, sampled propolis, different types of honey and a broad variety of honey and we even tasted a bit of honeycomb. 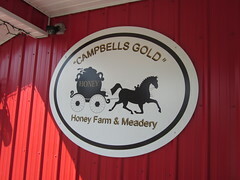 Therefore, visiting Campbell’s Gold Honey Farm & Meadery (one of the stops in the Abbottsford Circle Farm Tour) was an absolute delight. My inner child was again awakened (as it was the previous day with the Meadows Maze in Pitt Meadows). 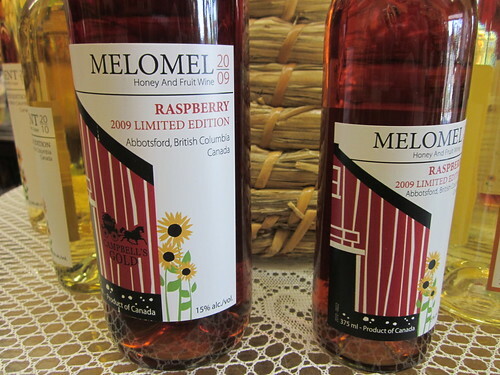 At Campbell’s Gold Honey Farm & Meadery, we were able to sample a broad variety of honey flavours and a few meads. 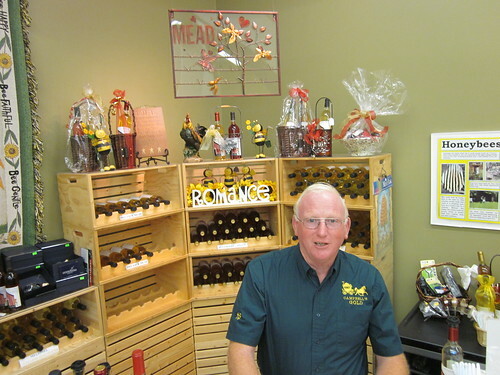 What is mead, do you ask? It’s basically honey wine. We sampled through a variety of samples of meads, and the one that particularly impressed me was the super dry (e.g. -2 in sweetness scale) yet the fact that it was a mead made it so tasty. 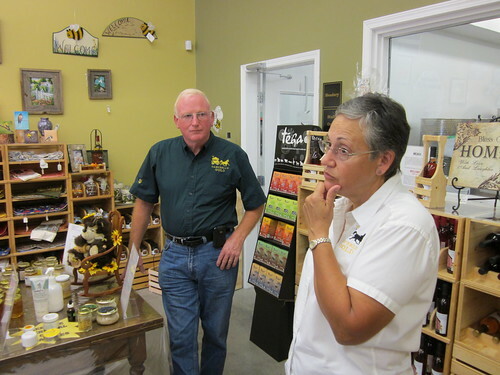 We also learned a little bit about the environmental certifications that this honey bee farm has, as well as the production process. 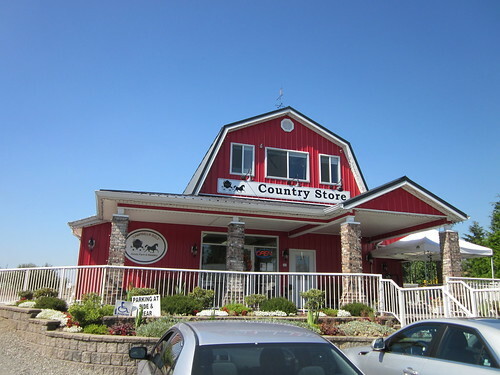 Campbell’s Gold Honey Farm also has numerous community activities, which makes this a perfect family (and singles) destination. 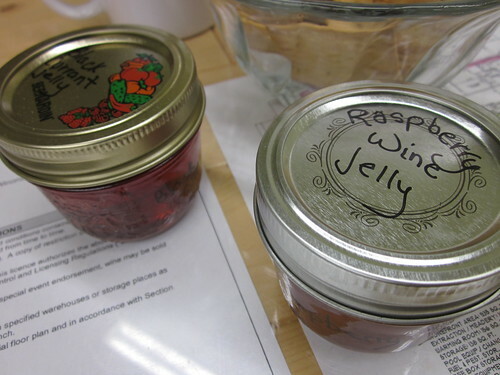 It was an absolute delight to be part of this visit to Campbell’s Honey Farm and Meadery. I do look forward to coming back maybe with a group of my friends, as I’m sure they’d love doing this kind of visit. 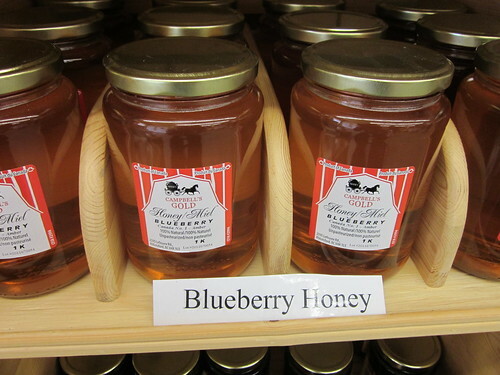 Disclosure: My visit to Campbell’s Honey Farm & Meadery was one of the stops of a media trip for Circle Farm Tours. You can read all of my Circle Farm Tours coverage here. I received a small bottle of mead compliments of our hosts. This post is neither paid for nor expected. All views are mine.